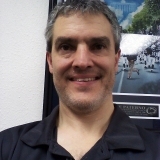 Greg is the President and owner of Thermistors Unlimited which specializes in manufacturing and design center for PTC thermistor applications that is customer service based. With over twenty two years of experience Greg oversees all management, organizational and administration aspects of his company that include personnel, engineering, product and project development and customer relations. He has held the Engineering Manager position with his previous company where he was also quite knowledgeable of ceramic and electrical engineering. Greg has been invited to speak at the Dale Carnegie Training which itemizes leadership training for professionals where he finds his focal point is generally manufacturing processes and professional training for those preparing to enter and continue their professional careers. He received his Bachelor of Science in Electrical Engineering from Penn State University and was inspired by his familial ties to the profession coupled with the education he received from Penn State. Greg greatly attributes his success to his keen understanding of what he wanted to do and having the driving force to make sure to succeed at it and always wanting to do and grow more. Greg aspires to continue to grow Thermistors Unlimited and is most proud of the longevity and growth he's had throughout his career and successfully becoming an entrepreneur and loving what he does. He is greatly affiliated with the Chamber of Commerce in St. Mary's for 10 years & serving as Chamber President for three. Greg is also immeasurably involved with the Boy Scouts troop in St. Mary's and after becoming a Boy Scout himself, Greg continued to donate and volunteer for over 35 years and is currently a Scout master. Greg loves sports, basketball, playing in mens softball league and bowling during the wintertime.